This week on Yu TV you will see a drama that will not leave anyone indifferent – “Hachiko: The most loyal friend.” The film is based on the real story of a dog who became famous in Japan in 1932: for 10 years he had been waiting for his master at the railway station. This dog showed the world what true friendship and loyalty are. Today we will tell 14 interesting facts about the present Hachiko, but we warn you: by the end of the article it’s hard not to cry. 1. Hachiko was born on November 10, 1923 on a farm near the Japanese town of Odate. 2. When the puppy was not even a year old, the farmer presented it to Professor Hidesaburo Ueno, who taught at the Agricultural Department of the University of Tokyo. 3. 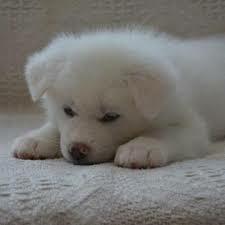 Professor Ueno gave the puppy the nickname Hachikō, where Hachi is the eighth, and kō is the suffix meaning attachment, love. Why the eighth? Hachiko was just the eighth puppy in the brood. 4. Professor Ueno traveled to the university by train, and every evening at the Shibuya station he was met by Hachiko. 5. In 1925, when Hachiko was only 9 months old, Professor Ueno did not return: he had a heart attack at work, and the doctors could not save him. But Hachiko kept waiting for him at the station every evening. 6. With his patient expectation, Hachiko attracted the attention of passersby, who had previously seen him with the professor, but they were not much interested in the fate of the dog. 7. Perhaps the story of Hachiko would have sunk into oblivion if it were not for the writer Hirokichi Saito: having heard rumors about a faithful dog, he decided to see him with his own eyes. 8. After meeting with Hachiko, the writer examined his ancestry. 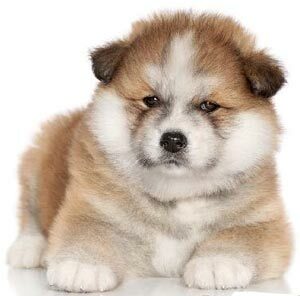 It turned out that Hachiko is one of 30 purebred Akita dogs left in Japan. 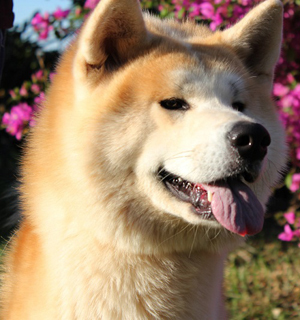 It is known that “Akita Inu” – one of the 14 oldest breeds of domestic dogs. This is evidenced by the data of DNA analysis, which showed the least difference between their genotype and wild wolf. 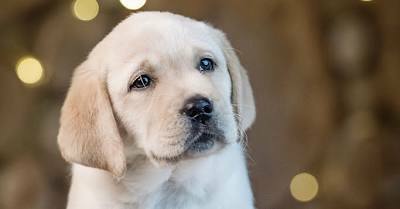 This means that the breed was one of the first to form and has not changed much since then. 9. From the day he met Hachiko, writer Hirokichi Saito began to visit him constantly at Shibuya station, and on October 4, 1932, wrote an article about him in the Asahi Shimbun newspaper. With this publication began the national glory Hachiko. He became a symbol of loyalty and devotion: parents and school teachers cited him as an example to children. 10. In April 1934, in honor of Hachiko, a bronze statue, designed by a popular Japanese artist, was installed at Shibuya Station. At the opening ceremony was attended by Hachiko himself. During World War II, the statue was melted down, but in 1948, Takeshi Ando, ​​the son of its author, created a new statue – and it still stands today. 11. Hachiko died at the age of 11 – March 8, 1935. Veterinarians discovered he had cancer in the last stage. 12. After death, the dog’s body was cremated, and the ashes were buried next to the grave of its long-awaited master, Professor Ueno. Hachiko’s wool was preserved, and now the stuffed dog is standing at the National Museum of Nature and Science in Tokyo. 13. In 1994, Japanese radio staff reestablished a damaged record with Hachiko barking recorded on it. In honor of this, they launched a large advertising campaign and, after 59 years since the death of Hachiko, the Japanese were able to hear on the radio how the most loyal dog barked. 14. 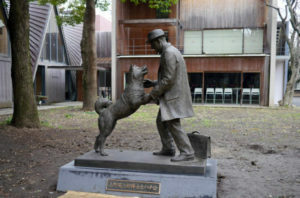 In 2015, the Faculty of Agriculture at the University of Tokyo unveiled a statue that depicts Professor Ueno meeting Hachiko at Shibuya Station. Finally, they are reunited forever!